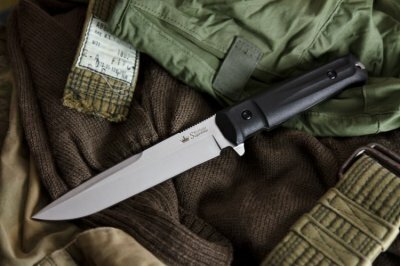 The SH-4 is very similar to its bigger brother the SH-8 in it combines all of the best features of our military, utility and hunting knives into one great package. 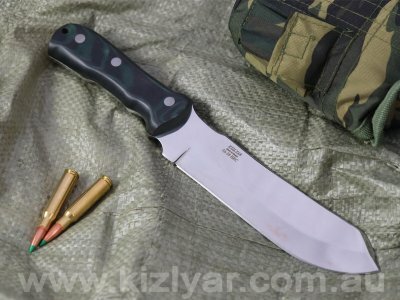 This is a very fast and light knife ideal for those who might be doing a lot of walking and are trying to minimise the amount of dead weight on their belt. 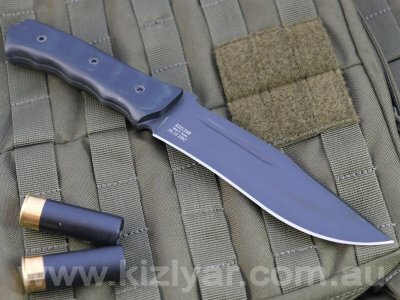 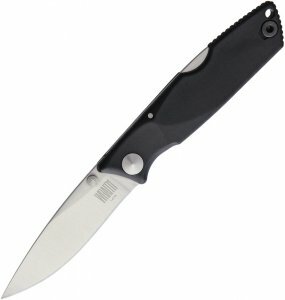 The Sh-4 is still has the tough full tang design, but it has a thinner 3mm blade, which really reduces its weight. 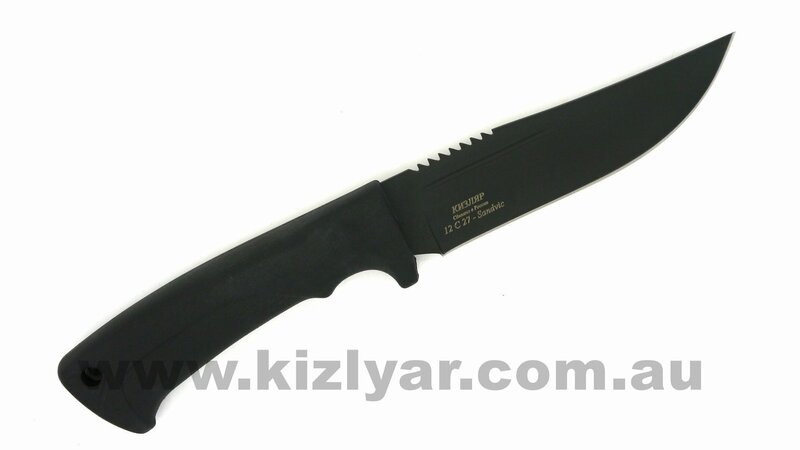 The shape of the blade is great for most tasks that do not require a heavy chopping blade. 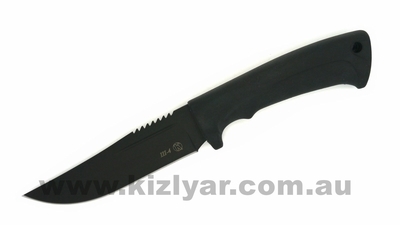 The blade has been manually heat treated for maximum strength and great edge keeping qualities. 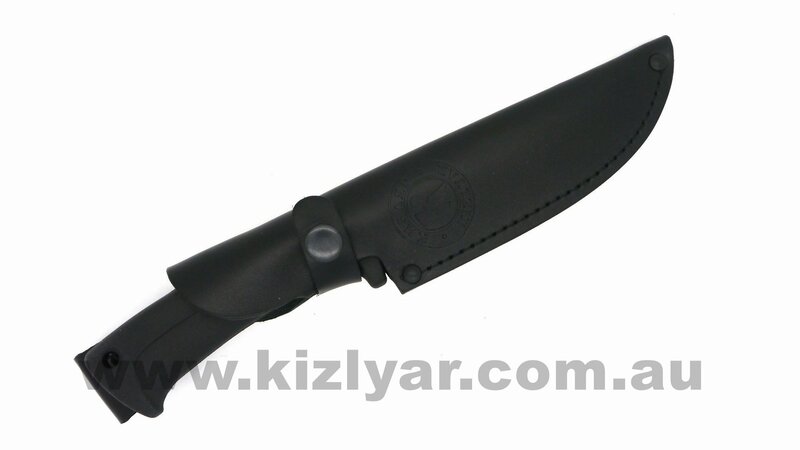 The handle is made from none slip Elastron-G and is molded to fit the hand perfect and provide a very decent size finger guard.